A girl was wearing bangles, applying kajal and makeup, putting up the mangtika on her head and with a gorgeous lehenga…. she was looking fabulous…..
Mum- Anika, beta please come down and also bring her… we are getting late for the wedding…. After this she opened a drawer and removed a photograph…. Anika- i miss you yaar…. I am sorry for not being in contact with you but I had to leave yaar…. I know you will be living a happy life with Jankee and because of this I don’t want to return…. because if I will see you both I will again break…. 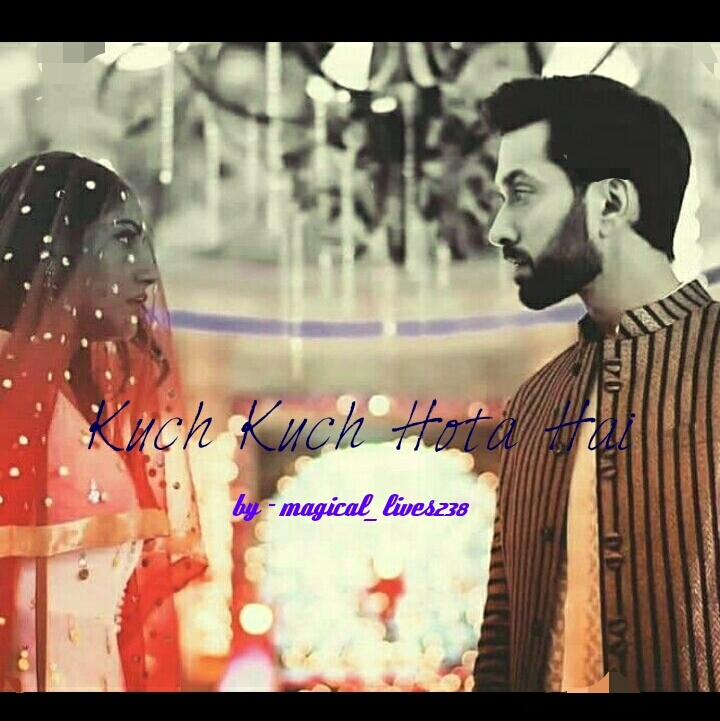 Already it is getting difficult for everyone to make me normal, back to that khidkitod Anika but don’t know why but I am unable to do that…..
Anika- nahi Gauri, where am I crying yaar..
Anika- arre, you don’t worry about me, just be happy… it is your marriage today yaar, enjoy and it is that to with your Omkara… now let’s not waste time…. we have to go… and by the way my best friend is looking gorgeous haa…. With this she stood and took Gauri towards the mandap…. Anika left to her room… got changed and then slept on the bed as she was feeling very tired…. but no before checking the photograph again…. Shivaay was very much tired as he came just after playing basketball….. While he was drinking water, he suddenly noticed a book under the table…. He took a cloth and cleaned the dust and was coughing at the same time…. ” was written on it…. On seeing this pic, he remembered how much fun they had….. He remembered how someone told something and other than Anika and him nobody laughed…. how they both were laughing like hell and everyone was staring us, but seeing us laughing everyone too started laughing…. This was the best day, when they had their farewell party, it was clicked by Rudra that day….. He closed the book and remembered every moment he had with her….. He smiled and unknowingly tears were streaming down his face…. And with this he slept…. Shivika- mumma was right, I need to unite them at any cost…. So, hope you like the change…. So, how was it?? Did you guys like it?? Do tell in the comments section….